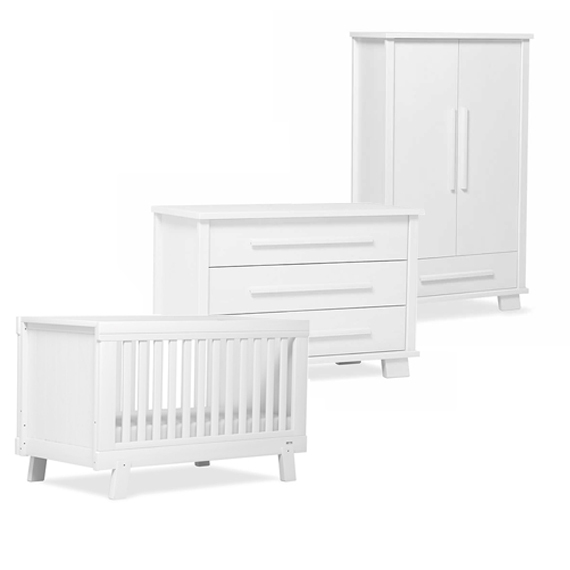 With its clean, geometric lines, the Lucia collection, from Urbane by Boori, will give your new nursery a sense of understated serenity. Conversion kit for cot to make it into a double bed is to be purchased directly from Boori. They will hold stock for 5 years after any product is discontinued. Delivery is free and we offer a white glove service to your room of choice. Delivery will be within 4 weeks from the date of order and you will be contacted directly to arrange a convenient time.